Craig Robinson, Kerry Washington, and David Alan Grier all star in this new Tyler Perry produced film 'The Peeples' even though the end of the trailer says that it originally belongs to Tina Gordon Chism. (That's quite confusing actually to who's it actually belongs to). 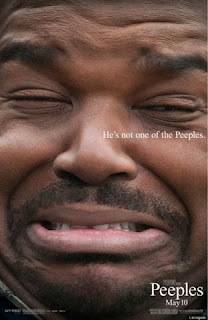 S. Epatha Merkerson, Melvin Van Peebles, Diahann Carroll, and Kali Hawk are co-stars to Craig Robinson, Kerry Washington, and David Alan Grier. 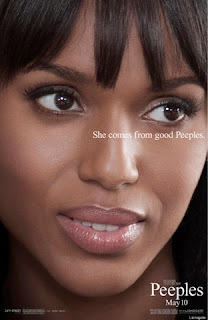 Read the movie synopsis below to 'The Peeples' and check out the trailer. It hits theatres in the States on May 10. No word on if it hits cinemas anywhere else in the world. Craig Robinson and Kerry Washington as a couple? Definitely hilarious.